Preparation (optional): You may bring along a “welcome” mat or sign from your home. 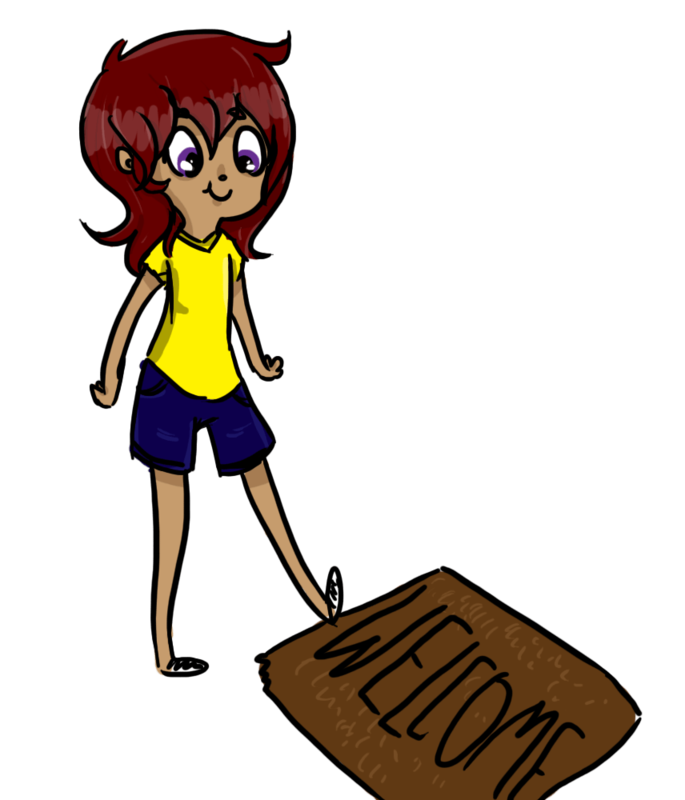 Does anyone know what the word “welcome” means? You sometimes see the word on a mat in front of a door. Or you might see a sign along the road that reads “Welcome to Minnesota” or “Welcome to the Dew Drop Inn.” (You may pass around your own welcome sign.) A welcome sign is a good thing to see, especially if you’re looking for a place to stay. There are some places where a child might not be welcome. You might not be allowed into a scientific laboratory where there are expensive test tubes and machines. If you bumped into a table you might set off an explosion. If you were in Washington, D.C., you probably wouldn’t be allowed to walk right into the president’s office. Children, and even adults, aren’t always welcome in every place. What are some places where you are always welcome? (Children may offer answers.) You are always welcome in your own home. You are welcome in your school. You are welcome in the church. Who are some people who always welcome you with open arms when they see you? (Let children share.) Moms and dads, grandmas and grandpas, and best friends all welcome you when they see you. And all of you are sitting in a place where you are welcome to come. When it’s children’s time during the church service, we get to gather up here and talk to each other and learn about God. All the children in church are welcome up here with us. And once upon a time, long ago, there was another important children’s time when little boys and girls were welcomed to come up and learn about God. It happened while Jesus was preaching and teaching on the earth. Remember that Jesus wants children to come to him. Children have a special place in God’s heart. You never have to wait to talk to Jesus. He’s always ready to listen to you and to welcome you. Prayer: Thank you, Lord, that all of your children are always welcome in your embrace.